This page contains all website entries whether pages, posts, updates, or blog entries that are tagged ADHD. Summary: N-Acetyl L-Tyrosine, often abbreviated to NALT, is a more bioavailable form of L-Tyrosine, an amino acid that also has nootropic benefits. It improves mood, memory, and enhances cognitive abilities in many ways. It has great effects of reducing stress and maintaining mental performance during sleep deprivation. Tyrosine is an amino acid the body produces from various dietary sources. Some of its primary functions are maintaining brain chemistry. A result of providing the necessities for the formation of dopamine, norepinephrine, and epinephrine; which are vital neurotransmitters that profoundly affect energy levels, moods motivation, and brain function. It works as the buffer delivering the necessary materials for the brain to produces them. Particularly under conditions where stress has depleted them. Another feature is its protein synthesis and the regulation of hormones required in the creation of melanin; supporting skin, hair, and eyes. Moreover, Tyrosine is related to the thyroid hormones. It also supports weight maintenance and loss by suppressing appetite and helping the body’s ability to burn fats. Although the body produces sufficient amounts of L-Tyrosine on its own, studies suggest that additional supplementation provide physical and mental benefits especially under the circumstances of environmental stress. What Are the N-Acetyl L-Tyrosine (NALT) Benefits? A study of 22 individuals shows L-Tyrosine supplementation enhances cognitive flexibility as well as the ability to switch between tasks and thoughts. This result is attributed to L-Tyrosine’s capability to increase dopamine in the brain, which further enhances mental versatility. How Does N-Acetyl L-Tyrosine Work? L-Tyrosine forms in the body from a range of high dietary sources such as meats, fish, seeds, milk, yogurt, and cheese. It develops as a result of the precursor aminoalkanoic acid, known as essential amino acid, metabolizing within the liver. After metabolizing into L-Tyrosine, it further metabolizes by an associate protein known as hydroxylase, which prepares L-Tyrosine to be in use for the creation of different neurotransmitters. Once the protein hydrolyzes it, L-Tyrosine is carried in plasma and may metabolize into catecholamines in various membranes. The discharge is activated by stimulation of adrenergic neurons within the brain, creating a restrictive interior system that maintains adequate internal secretion levels when the body is experiencing stress. Once there’s a high demand on the body’s stores of the vasoconstrictor, the brain responds with the release of adrenergic transmitters. The release, therefore, increases the quantity of the modifying protein discharged. A lot of L-Tyrosine transforms into catecholamines, thereby preventing deficits. This process is associating evidence in favor of L-Tyrosine supplement. Once the discharge multiplies over a sustained amount, internal secretion synthesis is assumed to be addicted to concentrations of amino acid. Moreover, supplementation could increase internal secretion synthesis and unleash by making a certain sufficiency of amino acid throughout prolonged periods of stimulation. How To Take N-Acetyl L-Tyrosine (NALT)? The NALT dosage, however, is lower due to its higher bioavailability. With NALT, the typical daily dosage is 300 mg. The standard L-Tyrosine dosage is 500-1000 mg daily, divided into 2 to 3 doses, half-hour before meals. “Studies in humans showing most anti-stress promise for acute supplemental L-Tyrosine use a dosage range of 100-150mg/kg bodyweight which can be taken 60 minutes before exercise; this is a dosage range of 9-13.5g for a 200lb person and 7-10g for a 150lb person. L-Tyrosine is highly effective at improving cognition in situations involving intense stress. A robust body of research indicates that L-Tyrosine prevents cognitive decline in these situations. Furthermore, studies show that it enhances memory, increases cognitive flexibility, and improves mental performance under stress and cognitive demand. The clinical studies, as well as anecdotal data from the nootropic community, indicate that L-Tyrosine is useful to everyone; not necessarily limited to those experiencing military-grade stress. Working or studying long hours, struggling with anxiety, and even intense exercise are all stressors that impact cognition. Because L-Tyrosine is available through familiar dietary sources, supplementation is a choice rather than a health necessity. In situations that involve acute environmental stressors, it is a wise choice that will boost cognition. Therefore, tyrosine is worthy of consideration as a day to day supplement. I have been taking l-tyrosine with some other amino acids and supplements every day 3 times a day for a while now. I take it bc I am on Adderall and Wellbutrin, so I like to give support to those systems they affect. I’ve had no side effects. I think they are doing great for my mood, but that could be the dl-phenylalanine, too. I have been taking L-Tyrosine for 15 years or so as part of my ADHD stack. I do 500mg once a day 3-5 days a week. It can elevate anxiety levels and I find it seems to elevate norepinephrine more than dopamine based on my experience with other nootropics and meds. I notice if I go more than three or four days without it I start to feel foggy and don’t have the same level of mental clarity. But I take it with Taurine to take the edge off. If I take it for a couple of days without Taurine I also notice that it makes me a little edgy. It’s definitely a balance with this one. How does L Tyrosine help with fatigue? 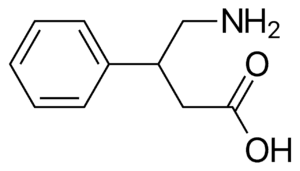 Does taking L-tyrosine supplements actually increase dopamine production in the brain? Can L-Tyrosine ease depressive symptoms in a patient being treated for ADHD with stimulant medication? Yes, it is helpful in relieving stress, building adrenaline stores, improving mood and in improving mental acuity. … Some studies show that children suffering from ADHD usually have low levels of Tyrosine. Both my sons take L-Tyrosine with their Adderall and Concerta respectively. I tried a lot of things before I finally let them try medication. Bingo! That was the magic bullet for them.